The Provisional IRA was about to appoint multiple murderer Gerard 'Jock' Davison as its so-called 'chief of staff' before he was shot dead in May, it has emerged. 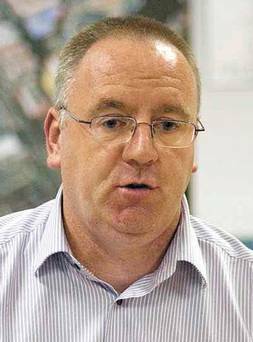 Davison (48) is believed to have already held a place on the IRA's 'supreme' governing body, the 'Provisional Army Council' (PAC) and was the most senior figure in the Provos ever to have been shot dead. Sources say he had been proposed as 'chief of staff' by a fellow Belfast member of the PAC and was awaiting elevation to the top spot when he was shot dead on May 5. No other 'Army Council' man had ever been killed before him. Garda sources confirmed to the Sunday Independent that Jock Davison was 'there or thereabouts' at the top table of the Provisional IRA leadership when he was shot. Ironically, it is also believed that Davison had been an agent for British security services who may also have been supporting his elevation to the top spot. This may have been part of a long-term plan to ensure that a figure like Davison would ensure the IRA kept to its ceasefire. In another twist, the PAC member who was said to have been promoting Davison as 'chief of staff' was also once suspected of being an agent working for British military intelligence. At one stage in the early 1990s, this man was being secretly filmed by an undercover RUC squad when he met his British Army handlers in a south Belfast park. During the meeting, the man was handed a briefcase stuffed with cash. A large IRA arms dump in west Belfast was seized shortly after. Davison's role as a 'tout' was exposed in the immediate aftermath of the gruesome murder of innocent Belfast man Robert McCartney (33) in a Belfast city centre pub in January 2005. Davison ordered his men to butcher McCartney and his friend Brendan Devine following a drunken row, giving the order by running his forefinger across his throat and motioning towards the pair. 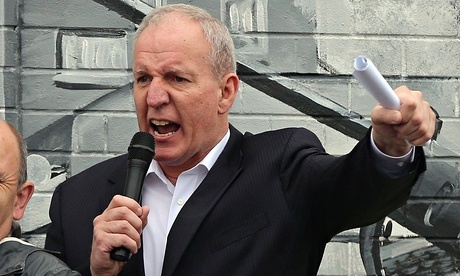 In the stabbing and beating frenzy outside the pub Davison slashed his own arm and went to the A&E at the Ulster Hospital in Dondald in east Belfast. There he was witnessed speaking to two men wearing suits and speaking in English accents. Davison was never charged over the McCartney murder but continued his rise up the ranks of the Provisional IRA leadership. He was previously implicated in the murders of nine alleged Catholic drug dealers in Belfast but never played any significant role in fighting British forces in Northern Ireland. Sources in Belfast say one of the reasons Kevin McGuigan decided, after years of simmering hatred, to murder Davison was because he had learned he was about to be elevated to the top job in the IRA. McGuigan had, it is said, referred openly to Davison as a 'tout'. The Provisional Army Council, which officially doesn't exist any more, largely consists of Northern and specifically Belfast men. All are millionaires from 'dipping' into the organisation's massive criminal machine. The remaining chief of staff, a west Belfast man in his fifties who still occasionally lives in the back streets where he grew up but has several other houses and whose wife and children live openly ostentatious lifestyles. An Armagh man once known as a dole cheat who is said to own a house on which up to €3m has been spent, paid for with money from diesel laundering, along with many other properties. The Belfast man who was proposing Davison as 'chief of staff' and who still lives in a modest family home in west Belfast but is secretly wealthy. Another Belfast man, a member of an IRA 'aristocracy' family, who once ran a multi-million euro illegal rubbish dumping business. Two other Belfast men who were released from the Maze jail as part of the prisoner release deal after the 1998 Good Friday Agreement. A prominent member of Sinn Fein from the Republic. A well-known republican has been arrested by detectives investigating the murder of Belfast woman Jean McConville. Bobby Storey, 58, was detained in the west of the city as part of the overall investigation into the crime. As well as the murder of the widow in 1972, police are also investigating linked alleged terror offences in the decades since, including IRA pronouncements made about the killing. It is understood Storey has been detained under the provisions of the Terrorism Act. The abduction, killing and secret burial of McConville, a mother of 10, is one of the most notorious crimes of the Northern Ireland Troubles. The police case lay dormant for decades until a flurry of activity this year, with a series of arrests made, the most high-profile being the four-day detention of Sinn Féin president Gerry Adams. Adams, who denies involvement, was released pending a report being sent to prosecutors for assessment. McConville was dragged from her children in the Divis flats in west Belfast by a gang of up to 12 men and women after being wrongly accused of informing to the security forces. She was interrogated, shot in the back of the head and then buried, becoming one of the “disappeared” victims of the Troubles. Her body was found in 2003 on a beach in County Louth, 50 miles from her home. Storey has been taken to the Police Service of Northern Ireland’s serious crime suite in Antrim town for questioning. This page was loaded Apr 22nd 2019, 9:58 pm GMT.